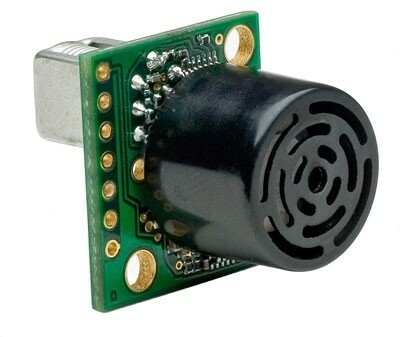 The tiny indoor XL-MaxSonar® Maxbotix sensor line are less than 1-cubic-inch in size, yet the sensor puts 1/2 watt of peak power into the efficient transformer driving the transducer, yielding high output acoustic power. This acoustic power combined with continuously variable gain, real-time background automatic calibration, real-time waveform signature analysis, and real-time noise rejection algorithms results in virtually noise free distance readings for most users. This holds true even in the presence of many of the various acoustic or electrical noise sources. 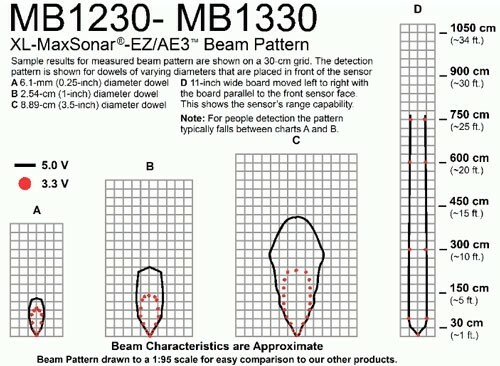 The XL-MaxSonar® sensor line is available with factory calibrated beam patterns and can be used anywhere an indoor acoustic range sensor is needed. This unit is supplied without male pin headers, you will need one of these male pin headers.